Brevet Medals can be ordered for the Year 2018-19 - for BRMs held on or after 1st Nov 2018. Medal design will change after PBP 2019 so stock for current 2016-2019 period will not be available after 31st October 2019 for riders to order. Choose where you would like the medal to be delivered. You will not be able to change this selection after the order has been placed. 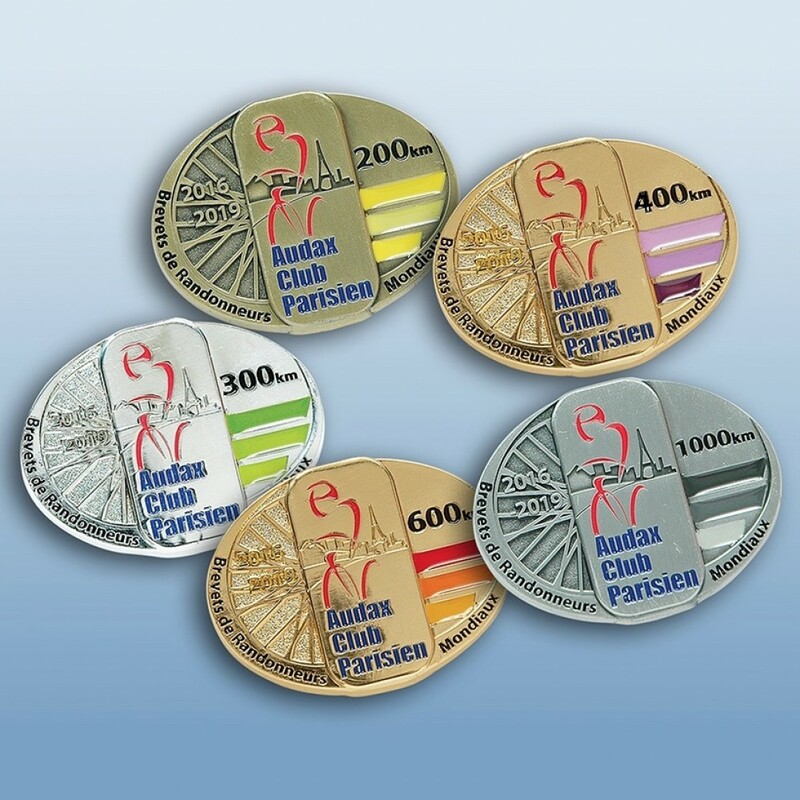 My Club - The medal will be shipped to your AIR registered Home Club in the first week of the following month for every calendar quarter. You might have participated in BRMs organized by various clubs, but your medal will only be shipped to your registered Home Club. When you choose "My Club", you will still be required to enter you shipping address during checkout. Do not worry, your medal will be shipped only to your Club. About Schwalbe SV15 Road tube presta valve (700x18c-28c)40mm Made from Butyl Rubber, Schwalbe ..
About Elite Kura smart trainer Accurate power measurement ± 1% Direct Transmission Smart (not in..